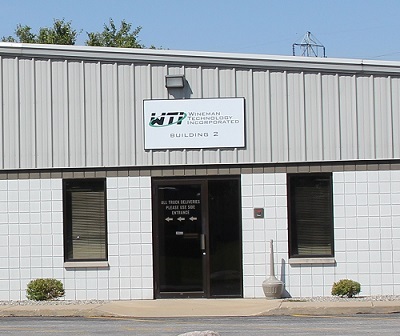 Wineman Technology Inc. (WTI) has experienced significant growth in the past couple of years and our Saginaw office location has been stretched to capacity, especially during peak production times. To address this issue and to provide room for future expansion, we are pleased to announce that we have purchased the building adjacent to our Saginaw location. 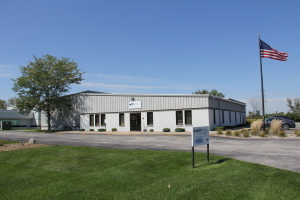 This building, formerly owned by AHB, Inc., will add 4,000 square feet of office space and 9,000 square feet of shop space, doubling the capacity of the existing facility. A planned 2,500 square foot addition, connecting the two buildings, will provide enough space for years of growth at our present location. “This expansion, along with doubling the size of our Clarkston, MI facility earlier this year, really shows our commitment to the area. It also illustrates how much the economy has improved, especially in the high-tech sector, over the last few years. We are truly in a global market as WTI is selling systems worldwide,” said WTI President Matthew Eurich. “The new space gives us lots of options as we continue to grow. Our plan is to focus the manufacturing in the existing shop and move all non-manufacturing operations into the new shop area. We are also very excited to add a loading dock and additional conference room space to our present facilities.” he added. The new addition will also help add more comfortable work spaces for the engineers and administrative professionals. The best part about the new space is the large shop area, allowing us to better serve our customers and take on larger jobs.